Manual brewing methods can yield coffee with a variety of flavours and textures. As a guide, the ratio of ground coffee to water is 1:15 or 1:16, and the temperature of water should be 80 to 96 deg C.
For those who prefer coffee with a thick and heavy texture and an earthy flavour, use a French press as immersing the ground coffee in hot water gives an even extraction. It does not require a paper filter, so the cuppa will contain coffee oil and tiny suspended coffee particles. This gives an earthy and less clean flavour profile, says Mr Lucky Salvador, 28, head trainer at Common Man Coffee Roasters. On the other end of the spectrum is pourover coffee, made by pouring water through ground coffee and filter paper in a dripper. Mr Salvador says the drip-through mechanism gives the coffee a lighter, tea-like body and cleaner flavours. Other must-have tools include a coffee kettle, a timer and a weighing scale. 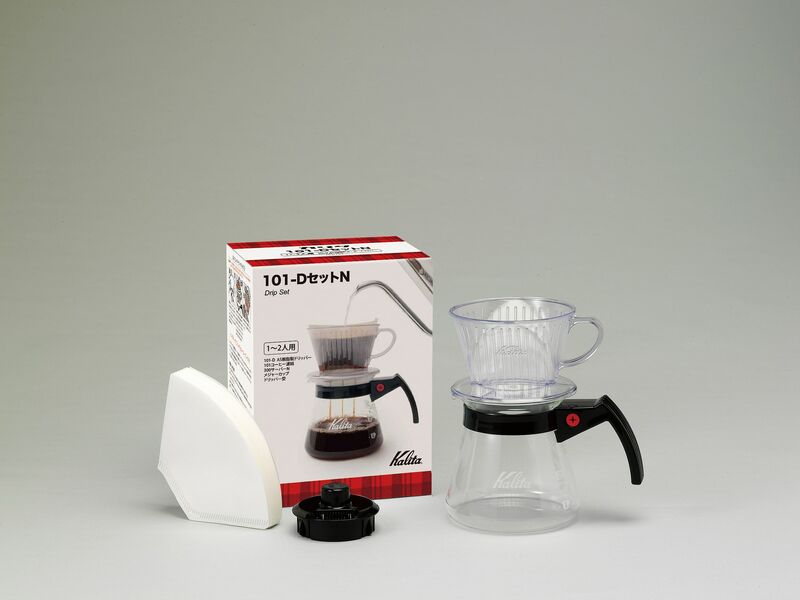 What: This portable brewer combines the best of two manual brewing coffee methods. First, the coffee beans are steeped in water, like in a French press, before pressure is applied by pressing a piston down to push the water through the grounds and a microfilter. How to use: There are two main brewing methods. The traditional method has the brewer body perched on top of a cup. Stir ground coffee in water with a paddle before pushing down the plunger to extract the liquid. The more tricky inverted method has water and coffee added into the brewer placed upside-down. After steeping the coffee in water and putting on the filter holder, turn over the brewer and fit it around a cup, before pushing the plunger downwards. What: The Bialetti Moka Pot produces very intense, espresso- style coffee. Steam pressure, which is generated from heating the water in the bottom chamber, pushes the water to the ground coffee. How to use: Fill the bottom chamber with hot water. Fill the coffee backet with finely ground coffee. Heat the pot over low to medium heat with the lid up. Coffee will slowly appear in the top chamber. What: The stylish 470ml hourglass-shaped flask (above left) allows coffee to be brewed and served conveniently in one place. Compared with other pourover coffee, coffee brewed with the Chemex tends to have a lighter body with clean profiles, as the filter papers are thicker and trap most of the coffee oils. 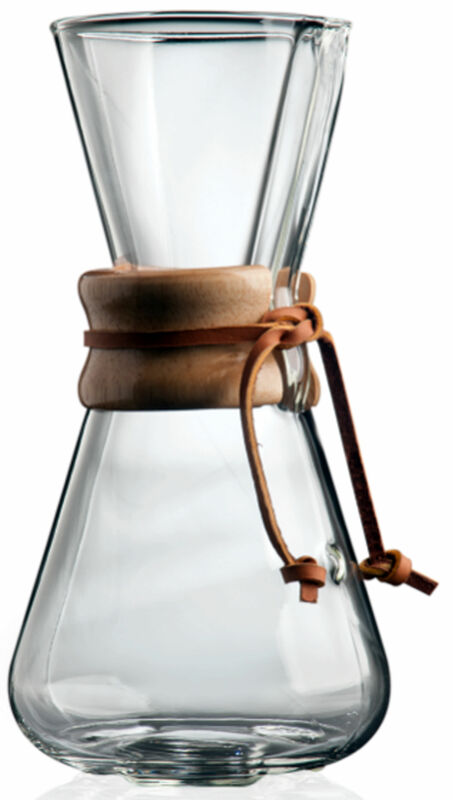 How to use: Grind coffee beans medium coarse and scoop it into a cone-shaped filter perched on top of the Chemex brewer. Wet the ground coffee with a small amount of water and wait about 30 seconds to let it "bloom" to release the trapped carbon dioxide. Proceed to pour the remaining water in a circular or back-and-forth motion. What: This ceramic dripper has a single-hole drainage, which means that the flavour profile of the brew is dependent on the pouring technique of the user. The dripper's spiral ridges on the sides create gaps of air between the ground coffee and sides of the filter paper to give a more complete extraction. How to use: Pre-infuse the paper filter on the dripper by pouring in some hot water, before adding coffee beans ground to a coarse, salt-like texture. Pour in a circular motion from a kettle. Try to pour water directly on the coffee grounds and not against the dripper walls, as water may pass through without extracting the coffee flavour. What: This plastic dripper (left) comes with a flat bed. The three small holes at the base slow down the extraction rate, reducing dependency on one's pouring skills. This gives a more consistent and even extraction than the Hario V60. How to use: Fit the filter paper into the dripper and set it over a cup. Pre-infuse the filter with hot water. Add medium to medium-coarse ground coffee into the dripper and start pouring water from a coffee kettle in a circular motion. What: Beat the heat with an iced brew. Brewing the coffee at a low temperature brings out the natural sweetness of the beans, with brighter and livelier tasting notes and a smoother texture. How to use: Pour 60g of medium ground coffee into the tower, place a paper filter on top of the bed of coffee and wet it. Insert a valve down the tower and pour 700ml of iced water into the chamber. Set the drip rate and 1et it brew and drip for six to eight hours in the fridge. 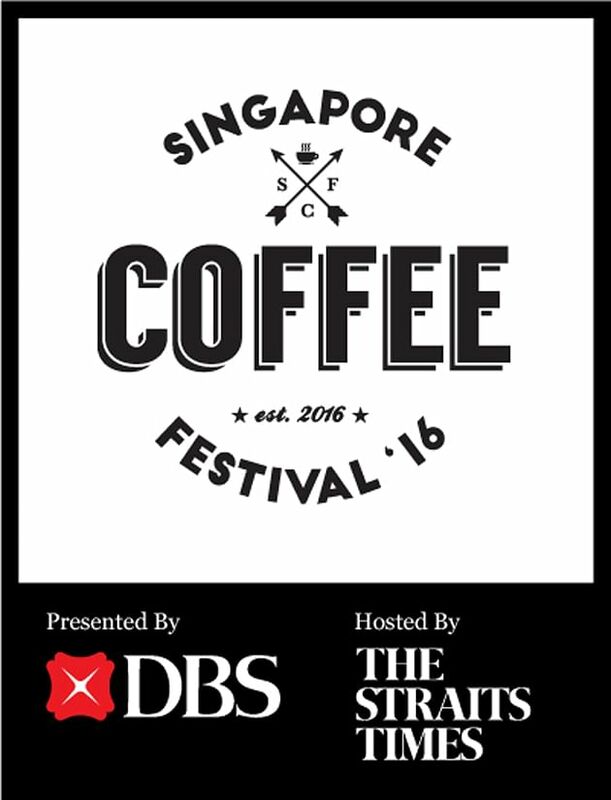 Coffee fanatics looking to buy an espresso machine should look for one which delivers a consistent brewing temperature, cup after cup, says Mr Ivan Kuek, 39, director of Stellar M, which sells coffee- making equipment. That consistency is maintained by the machine's heat-exchanger system, which regulates the temperature of the water for brewing coffee and generating steam. Mr Frankie Lee, 40, of Grind Coffee in Collyer Quay, also advises customers to consider safety features such as steam wands with insulated metal and the weight of the machine for ease of transportation. He adds that dual-boiler espresso machines, which generate high brewing temperatures and steam pressure simultaneously, are able to produce more rounded cups of coffee. These machines enable users to change pressure settings at different stages of a brew to extract a spectrum of flavours from sweet to fruity to floral. What: This sleek dual boiler (above right) allows users to brew coffee with five pre-set pressure profiles, which can be varied across seven stages to extract different flavour profiles from the beans for a well-rounded cuppa. Users can set the pre-infusion time and determine the various extraction pressures throughout the brew. The functions of this 22kg machine can all be controlled via a touchpad display, which shows key information such as the water level in the machine. Other nifty features include a large 2.9-litre water reservoir and a power-saving Eco mode, which turns off the steam and water wands. It comes with other tools such as three porta- filters and a tamper. What: This compact and no-frills machine is for those who are new to prosumer espresso machines. Its water supply is controlled by a vibration pump and the sides are adorned with circular panel patterns in white or copper. What: This dual boiler espresso machine allows users to set five pressure profiling capabilities to get the best out of coffee beans. Users can change the functions on its touchscreen display.